In terms of the playback, well, I came away pretty impressed with the detail in the sound that came out of the Bose SoundLink Micro. It's noticeably richer in quality. Unfortunately, despite this crisp conveyance, the SoundLink Micro just doesn’t deliver quite as much bass as comparably-priced products from UE and and JBL. In fairness, it does deliver a lot of sound for its size. However, it didn't deliver quite enough that I felt like using it over the alternatives. Still, depending on your music this might not be as much of an issue. However, it does mean that listening experiences powered by the SoundLink Micro don't so much land with so much a punch as they do a bounce. The Micro sounds good, but it might not be quite good enough to make it a clear winner over the other portable speakers out there. It doesn't help that the Bose SoundLink Micro also fails to keep pace with the competition in terms of battery life. It boasts only about six hours of battery life to a single charge - less than both the JBL Flip 4 and UE Boom 2. 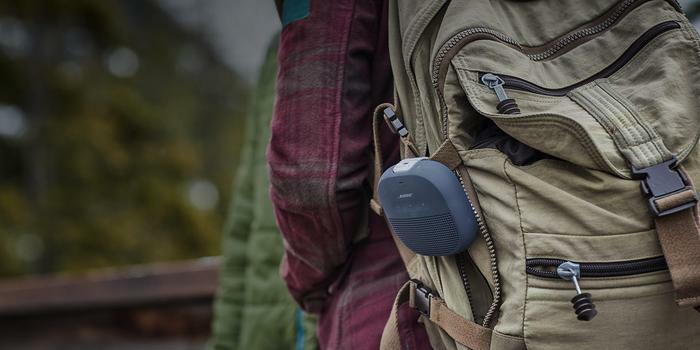 Bose’s smallest portable Bluetooth speaker yet doesn’t sound bad, but it is exactly what it sounds like. It’s a Bose speaker, made smaller. The people who dig the minimalist aesthetics of Bose speakers will probably like this speaker. However, for the rest of us, the somewhat-rigid design and limited battery life mean that this might be worth waiting on a sale before picking one up.